SATA-based solid state storage is no longer about speed. But if it’s all about marathon endurance why do we need two new Samsung 860 drives? 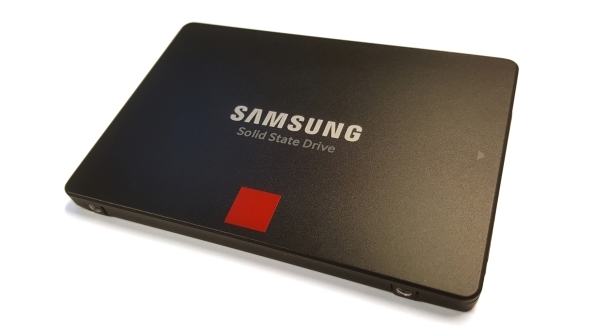 In reality the reasons for the PRO version of Samsung SSDs have become almost entirely meaningless on the legacy interface – it’s a drive that seems to exist for tradition rather than necessity. You need a quality motherboard to make the most of your storage, so check out our pick of the best gaming motherboards. 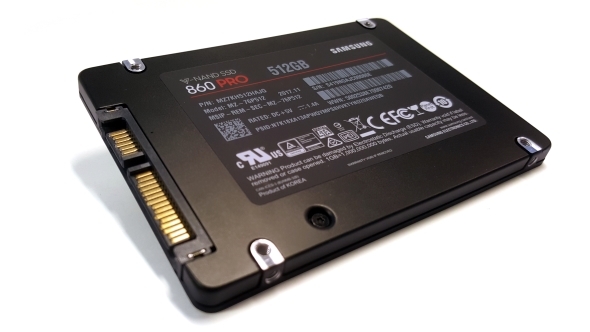 We’ve checked out the impressive new Samsung 860 EVO drive, and it’s about as good a SATA SSD as we’ve ever had the chance to test. But the very existence of its PRO sibling is what’s giving me trouble. Aping the dark side of the Force, and AMD (no correlation there), Samsung have always introduced their new solid state drives using the Sith-inspired Rule of Two. There’s always a master and apprentice in each range of drives, a PRO version and an EVO SSD. The idea being that they’d be essentially based on the same storage technology, matching the same generation of in-house Samsung memory controller with the latest memory. The difference being that the PRO drives would use the more expensive, more reliable, 2-bit MLC as opposed to the 3-bit MLC (TLC) of the EVO series. That has traditionally meant the PRO drive is a touch quicker, comes with greater endurance and a longer warranty, but with a higher price tag. The EVO then was the more budget-oriented version for those who couldn’t afford the PRO. Unfortunately this doesn’t really make a whole lot of sense when you’re talking about a new range of SATA-based SSDs. The age-old problem is the SATA interface was designed for the spinning platters of mechanical hard drives and has a hard limit of 600MB/s. SSDs have been butting their heads against that performance ceiling almost since the SATA 6Gbps interface was released. That’s why PCIe-attached drives, and the NVMe protocol, were designed, to allow storage performance to push past those barriers… and they have. Now, if you want speed, you pick up an M.2 SSD and get sequential read/write figures around the 2GB/s mark. That has rendered the nanometre-thin speed bump of going from an EVO to a PRO drive no longer relevant at the SATA level. So, it’s all about endurance then? Well, yeah, it kind of is. But the endurance of the 860 EVO is now so good you’d really have to go some to max out its 164GB of writes every day throughout its five year warranty. And now that the PRO-level SATA drives have halved their warranty, from ten years down to five, the actual guaranteed lifespan of the PRO versus the EVO is now roughly equivalent. Why, then, should you consider picking up the Samsung 860 PRO over its EVO sibling? To be perfectly honest I can’t think of a single one. And even with the 860 EVO, for a SATA drive, you’re not really trading on the actual storage performance of the drive any more, so a cheaper, still reliable, equally capacious SSD would be just as good a choice at this level. Crucial’s new MX500 drives are a good deal less expensive than Samsung’s 860 EVO, offer essentially the same level of SSD performance, still have an impressive five year warranty, and retain endurance levels not that far short of their closest rivals. 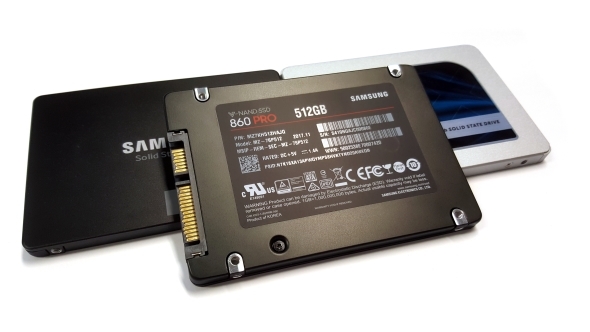 The Samsung 860 range represents the absolute best that the SATA storage interface can offer. The problem is that, in this performance limited, legacy arena, the best just isn’t really necessary.